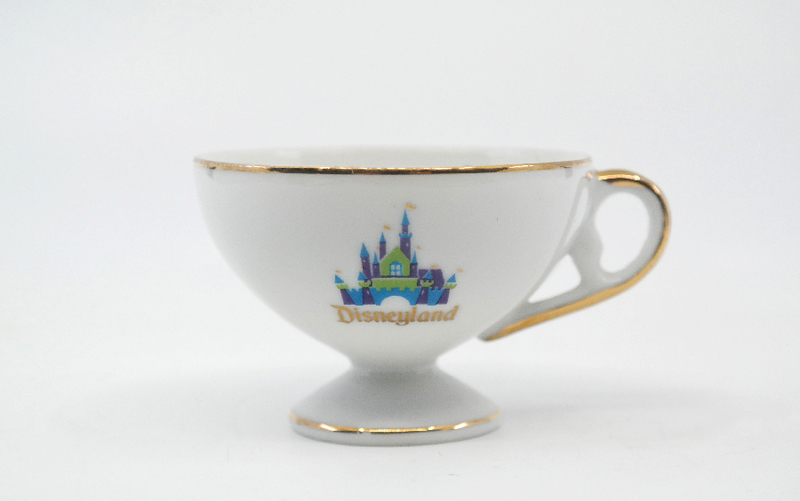 This is a souvenir tea cup and two saucers set that is from Disneyland and was originally sold in the 1970s. 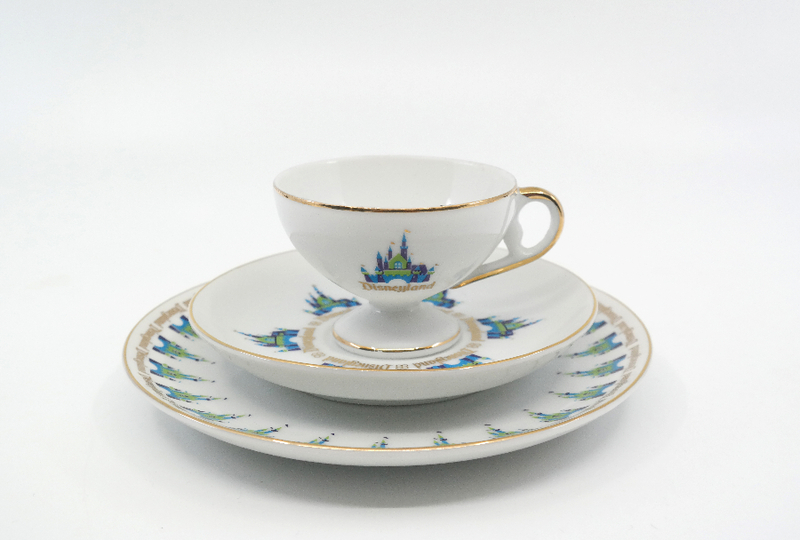 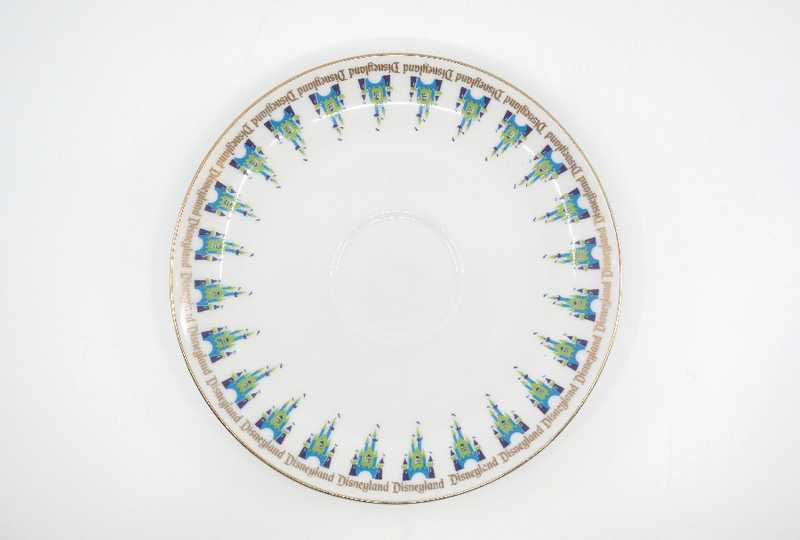 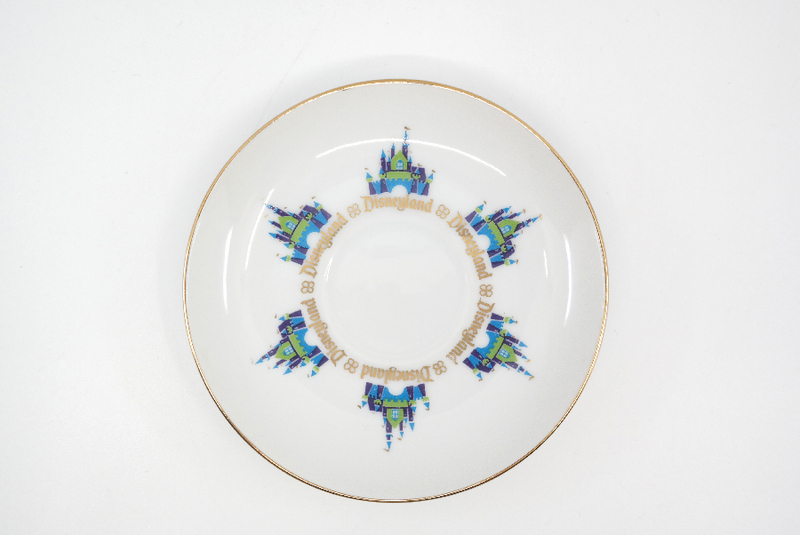 The set depicts a very stylized version of Sleeping Beauty castle on the outside which matches the imagery on the saucer. 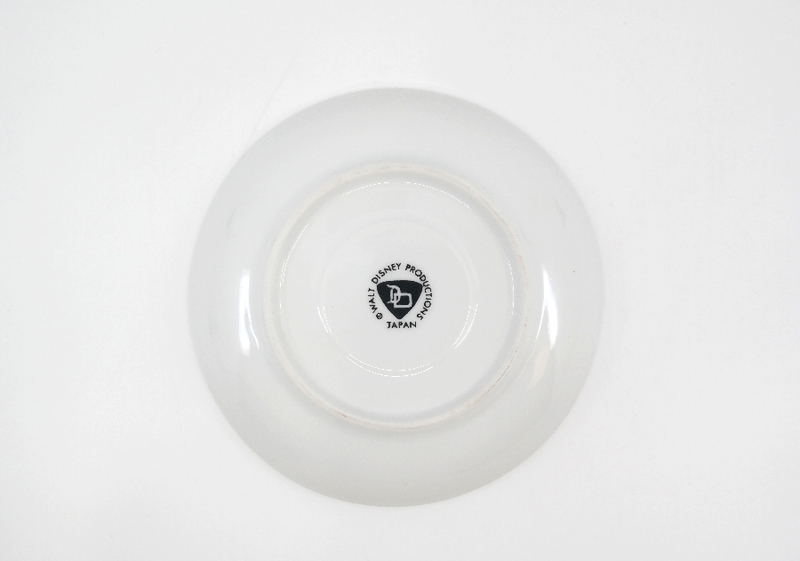 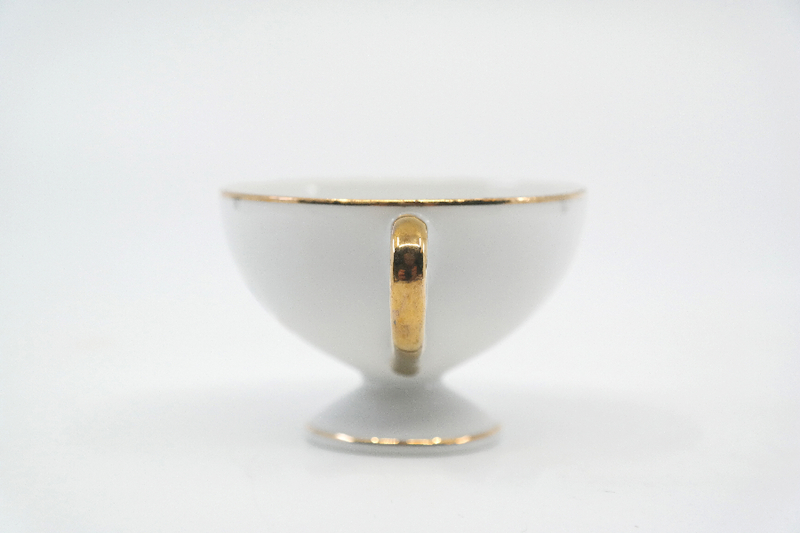 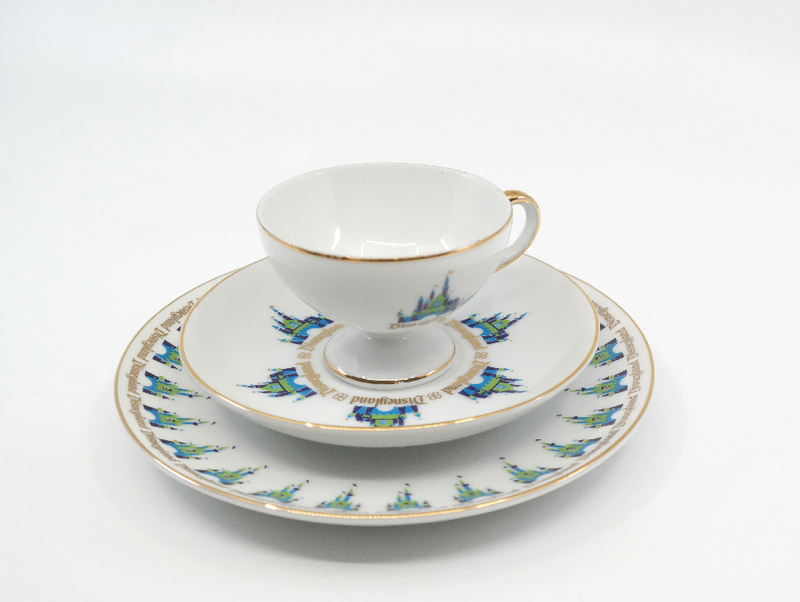 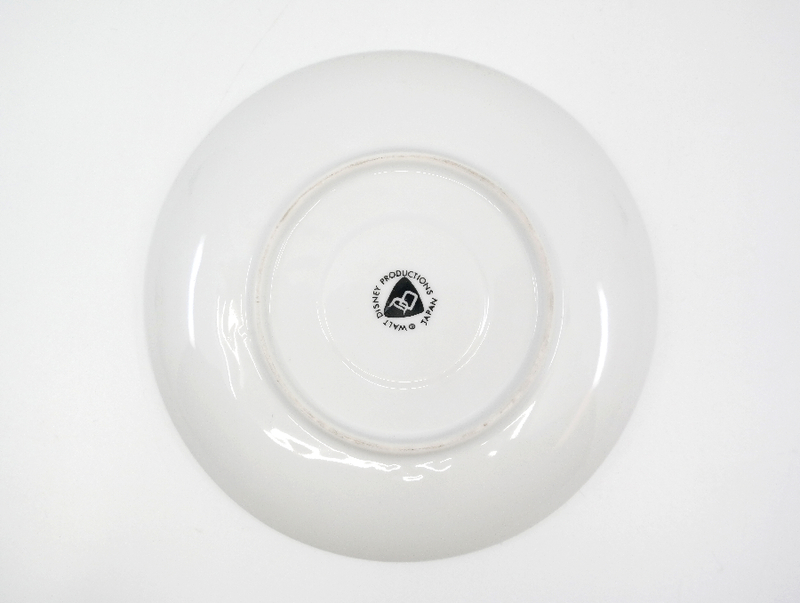 The tea cup measures 2" x 3.25" x 2.75", the small saucer measures 4.75" x 4.75" x .75", and the larger saucer measures 6" x 6" x .75".All three pieces are in excellent condition.